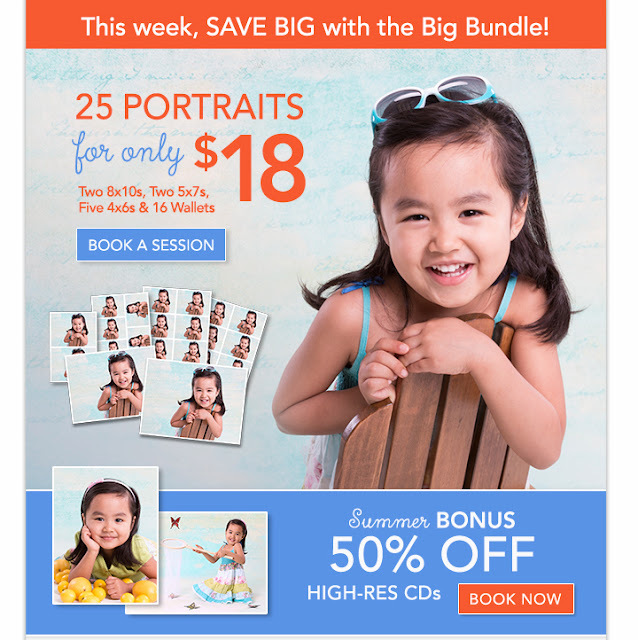 Picture People - $18 Big Bundle + 50% off CD! Check out this, $18 Big Bundle Package + 50% Off CD at the Picture People! Package consists of six color portrait sheets of the same image (sheets include two 8x10s, two 5x7s, five 4x6s and sixteen wallets). HURRY! Offer Ends 7/17/2016! To redeem this offer you can print coupon or present on your mobile device. Get coupon here. *See coupon and/or store for complete details.